Accident repair involves welding, metalwork and application of various types of materials to bring the vehicle back to its original condition. The technicians at Three G Body & Paint, LLC. in Littleton, CO have in-depth knowledge of various repair techniques and procedures that include detailing services as well. Our goal is to provide a thorough repair in a timely manner and keep you informed regarding the status of your vehicle throughout the repair process. Three G Body & Paint will help negotiate your vehicle’s repair with any insurance company to ensure that your vehicle is put back to pre-accident condition. We want to make the experience as convenient and stress-free as possible for our valued customers. 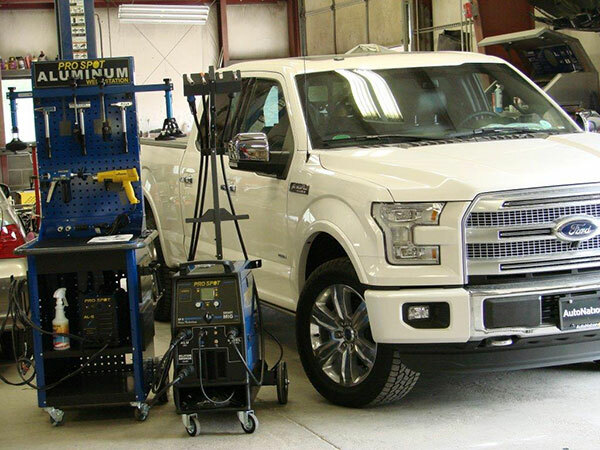 With the 2015 launch of Ford’s aluminum F-150, it is more important than ever to pick the right auto body shop that is aluminum capable to avoid unsafe repairs, which can happen if the proper setup and tools are not used. Three G Body & Paint, LLC. is currently undergoing the Ford F-150 Collision Repair Program to ensure that our techs have the proper training, tools and set-up unique to aluminum repair. You can rest assured that the techs working on your F-150 are fully trained and capable of providing a safe repair! In addition, we back all our work with a written warranty on all metalwork, parts and mechanical repair workmanship. By utilizing our temperature-controlled spray booth and certified painter, we guarantee the finish applied to your repaired areas for as long as you own your vehicle. 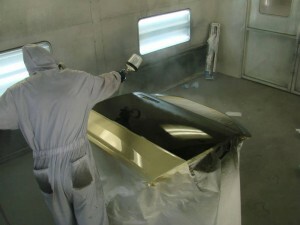 Three G Body & Paint, LLC hereby provides a limited warranty on repairs performed by the shop. This limited warranty is valid only for as long as you own the vehicle stated herein, and is for the person to whom this limited warranty is granted and whose name appears herein and on the original work order. This is a labor only, fragmented four part limited warranty, and stipulations pertaining to each fragmented part are stated hereafter. 1. METALWORK: Three G Body and Paint provides a LIFETIME LIMITED WARRANTY on all metalwork, to include welding and the application of materials utilized in making collision repairs against cracking, flaking, pitting, or deterioration, excluding rust repairs. The shop will repair and repaint, excluding rust repairs, any metalwork warrantied hereby, at its sole option, when claim is made by the present owner stated herein who owns the vehicle, unless caused by or damaged resulting from unreasonable use, maintenance, or care of the vehicle. 2. PAINTING, STRIPES & DECALS: Three G Body and Paint provides a LIMITED LIFETIME WARRANTY on paint-related priming & painting work against solvent blistering, peeling, hazing, and excessive loss of pigmentation, and, a LIMITED LIFETIME WARRANTY on the application and adhesion of decorative stripes and decals, excluding those defects which are caused by extreme environmental conditions to which the vehicle may be exposed. 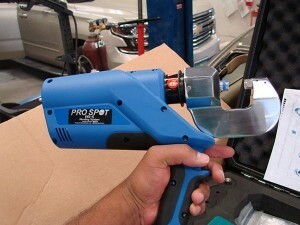 The shop will re-prime, repaint, re-stripe or re-decal the specific section or sections of the vehicle warrantied hereby, at is sole option, when claim is made within ONE (1) YEAR of the effective date shown herein, unless caused by or damaged resulting from unreasonable use, maintenance, or care of the vehicle. 3. MECHANICAL AND ELECTRICAL REPAIRS: Three G Body and Paint provides a LIMITED LIFETIME WARRANTY on all mechanical and electrical repairs pertaining directly to original collision damage, excluding suspension, air conditioning or other electrical assemblies or components. The shop will repair the directly affected mechanical and electrical assembly or component warrantied hereby, at its sole option, when claim is made within SIX (6) MONTHS of the effective date shown herein for mechanical repair, and within THREE (3) MONTHS of the effective date shown herein for electrical repair, unless caused by or damaged from unreasonable use, maintenance, or care of the vehicle. LIMITED WARRANTY stipulations printed on the reverse side hereof are made a part as though fully incorporated herein. 4. PARTS: Three G Body and Paint provides a ONE (1) YEAR WARRANTY ON NEW O.E.M. PARTS AND A THREE (3) MONTH WARRANTY ON USED OR NON-O.E.M. PARTS installed by shop, excluding suspension, air conditioning or other electrical assemblies or components. 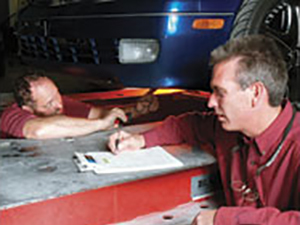 The shop will repair or replace any defective part warrantied hereby, at its sole option, when claim is made within ONE YEAR OR THREE (3) MONTHS (whichever applies) of the effective date shown herein, unless caused by or damaged resulting from unreasonable use, maintenance, or care of the vehicle. THIS LIMITED WARRANTY shall be null and void if the repair is altered, adjusted or tampered with by any person not authorized by Three G Body and Paint. This warranty is not transferable. SPECIFICALLY EXCLUDED are incidental costs, such as towing fees, car rental charges, travel expenses, or assemblies and components which are not specifically covered by this LIMITED WARRANTY, nor are consequential damages such as damage to other assemblies and components resulting from a defective part or installation of such part installed or repaired during the repair. THIS STATES ALL THE LIMITED WARRANTIES made by the shop and contains only promises for which it will be responsible. 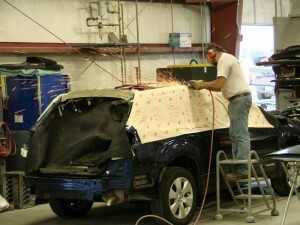 Feel free to give us call if you have questions about our collision repair services. You may also like to read our auto work testimonials to learn about our professionalism. Call now.